Cameron Instruments Inc. is the exclusive Canadian supplier and service partner for Sewerin. 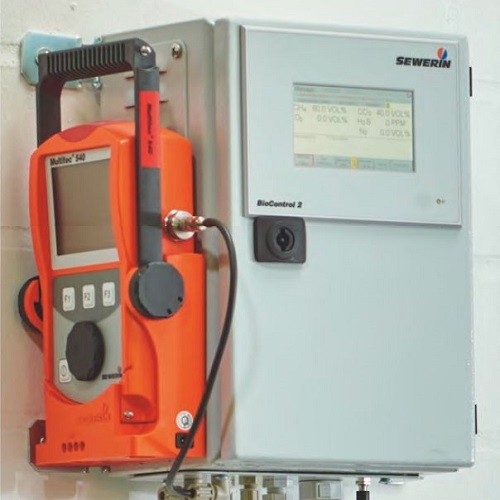 Sewerin is a leading manufacturer of measurement instrumentation systems for the continuous automatic measurement and monitoring of the composition of gas: simple safe and efficient. Be it in a biogas plant, landfill, wastewater treatment plant or even a composting plant. Home / Companies / Cameron Instruments Inc.
Cameron Instruments Inc. is a dedicated Canadian supplier of some of the world’s best Calibration, Measurement & Test Equipment. We are committed to providing unmatched service and support for all of our products. We are the authorized distribution and service partner for Sewerin – Manufacturers of top quality gas measurement devices optimized for the Biogas industry. The use of infrared measuring techniques for methane and carbon dioxide means that there is no possibility of misleading results due to interactions with other gases. This makes it ideal for use in waste disposal sites, sewage plants and biogas plants. The advantage of the Sewerin Multitec 540/545 is it can be purchased as a stand-alone unit for portable measurements, or combined with the Multitec BioControl giving you one system for stationary and mobile measurements. The versatility of this system makes is usable for all sizes of biogas installations. We service and support the Sewerin units in our on-site lab in Guelph, ON, meaning you should never have to return it to Germany for servicing. By providing top quality products, along with superior service and support, we work with you to find the best solutions for your measurement needs. Our success depends on your success! Click here to see more information about the team on the website of Cameron Instruments.